MOOKIE BETTS was one of four Red Sox who homered against the Angels on Tuesday. The Red Sox won 9-1. (Flickr/Arturo Pardavila III). It’s been a win-one, lose-one season for the Los Angeles Angels of Anaheim, so when the Halos win three straight, it’s not unexpected for the team to lose two or three. But four? And by eight runs? That’s what the Orange County team is suffering through. 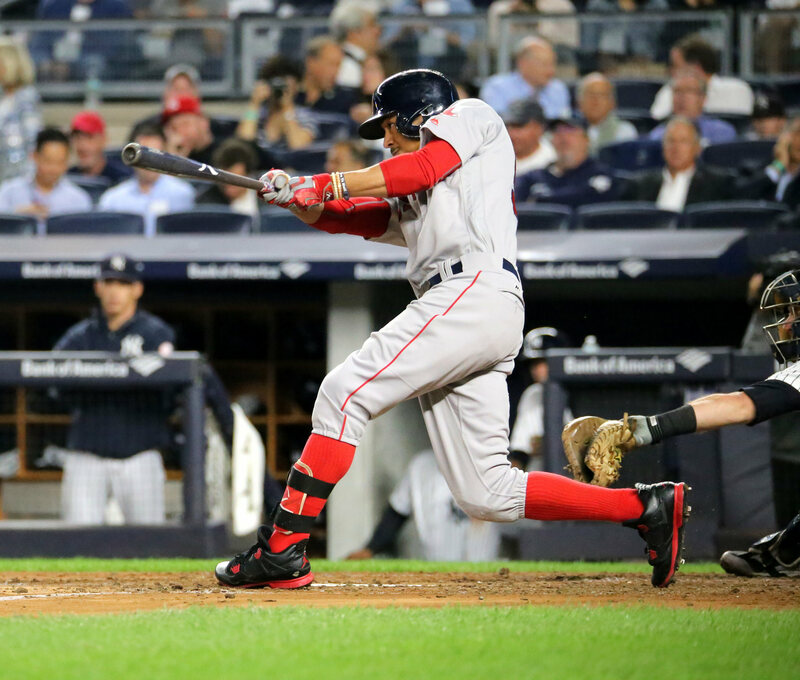 Facing the powerful Boston Red Sox in Beantown on Monday, it yielded four home runs and was beaten 9-1. That’s the fourth straight loss and the eighth in the last 11 games. The Angels have been especially unsuccessful against the BoSox, having been outscored 36-4 in their four losses to them in 2018. Chris Young hit a home run to account for the only Angel score. Going deep for the home team were Mookie Betts (his 19th) Jackie Bradley Jr., Christie Vasquez and J.D. Martinez (23rd) The Halos were outhit 14-5 and trailed 5-0 after two innings. John Lamb (0-1) lasted just 1.2 innings for the Angels, giving up six hits and two walks. Five runs were scored off him, three of them earned. Boston starter David Price (9-5) went six innings, yielding five hits and one run. He struck out seven batters and walked two. The Angels are now 41-39 and in fourth place in the American League West. They will try to get back on track Wednesday when they start Andrew Heaney (4-5) against Rick Porcello (9-3).